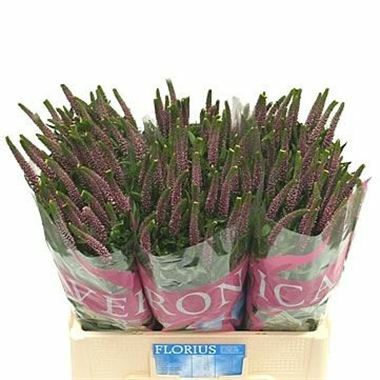 Veronica Anna 60cm is a beautiful Pink cut flower - wholesaled in Batches of 50 stems. Fresh cut veronica is a genus of the Plantaginaceae family and is generally thought of as a summer flower - in fact veronica is more or less available all year round these days as it is commercially grown under glass. Veronica has elegant spires of flowers and can vary from 60cm to 80cm tall depending on the variety and grade required.